The rapper allegedly changed his allegiance at the last minute. 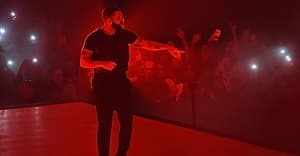 According to Billboard, Drake was originally planning to join Nicki Minaj, Madonna, Beyonce, Jack White, Rihanna, Kanye West, and other superstars at the Tidal announcement event back in March. But with just two days to go before the launch, Drake changed his mind, and Billboard has now confirmed that the rapper will be involved with one of Tidal's chief competitors: the Apple streaming service expected to debut later this month. Jay Z mentioned he was competing with Jimmy Iovine for the support of the same stars in March, though at the time, he didn't name any names.